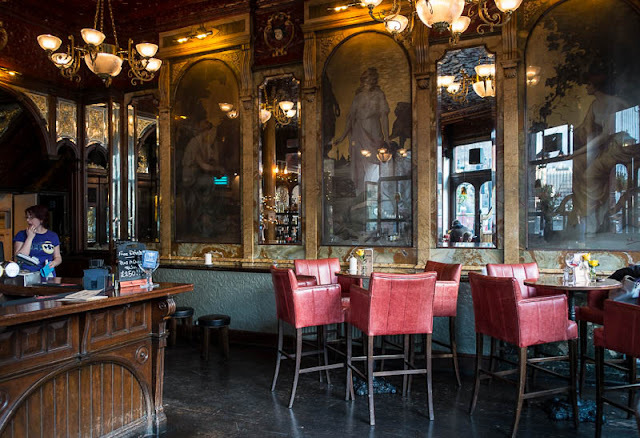 In the late 19th century Gin Palaces (posh pubs) were very fashionable places to frequent, and gin was even attributed with medicinal properties. This beautifully decorated pub in Holborn is once again specialising in gin but it also has a dark secret below stairs. In the basement is a dark and secret world of hidden rooms and tunnels where ghosts roam. The pub is opposite the old Newgate Prison (that also has its own ghosts). At a time when crimes were punishable by hanging the event was a social occasion watched by jeering crowds. To avoid the crowds and to make sure the officiating clergy could get there on time a tunnel was built from the church to the hanging site, passing beneath the pub. 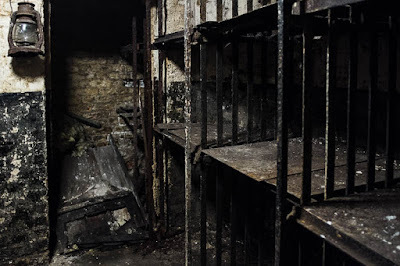 It was common practice for prisoners to be buried in and around the area, perhaps it is some of these poor souls who do not rest whose ghostly forms haunt the old Gin Palace. John or is it George? No one knows for sure, plays havoc moving barrels around. Then there is the prostitute whose favourite pastime is to open the fire escape door from inside the toilet (there is no handle on that side of the door or any way to open it) and toss rolls of toilet paper across the floor of the basement. The pub was one of the first in England to have electricity, but it was very unreliable. One particular evening when the lights had gone out the landlady and a staff member went down stairs with a candle to sort the problem out. The door slammed shut behind her, a colleague heard her scream and raced to her assistance. She had passed out, but when she came to she told of how her candle blew out, then she felt a warm breathe on the back of her neck and a hand across her mouth. She resigned two days later! On my visit I too experienced the door slam behind me in this cell like room. I suspect the staff member who was showing me around and laughing, had something to do with that. However it is very dark and eerie in here. No wonder I needed a wee gin to recover! What a wonderfully atmospheric building - even without mentioning the ghosts. Even with the ghost stories, the place looks appealing. Well, maybe not all of it! What is the name of this pub?! I want to visit! Just a wee gin?? I think I might have gone for a tall one. Mo, you do visit the most interesting places! When I think of a G&T I tend to think of a warm summers day ... shame it's only February!